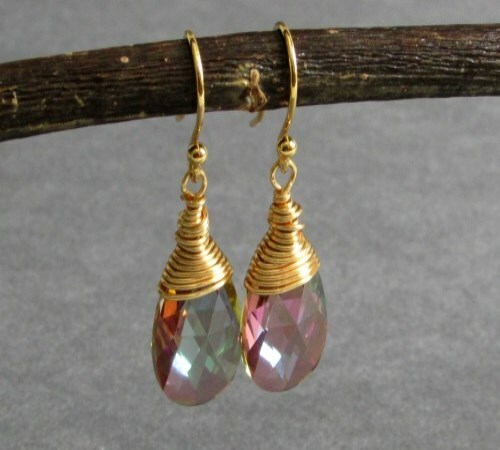 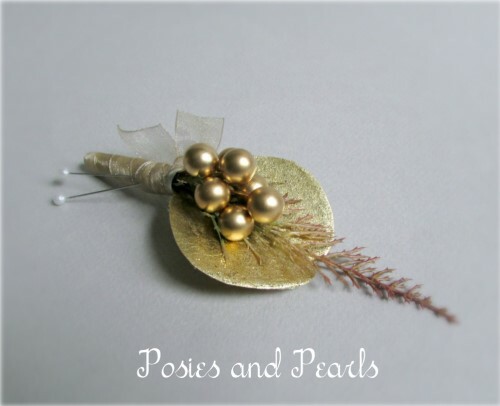 Brilliant gold for a special event! 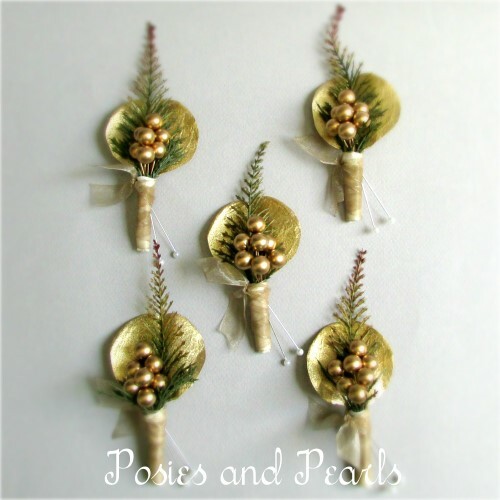 These elegant boutonnieres feature satin finish gold berries over a backdrop of feather-like spike fern and shining gold eucalyptus leaves. 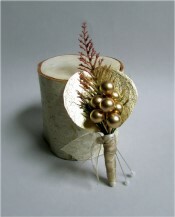 The stems are wrapped with dual layers of ivory satin and soft gold organza. 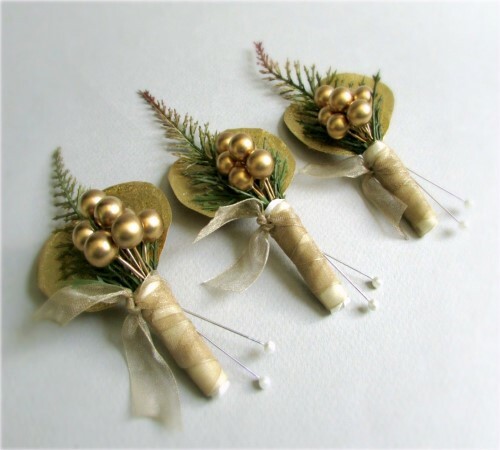 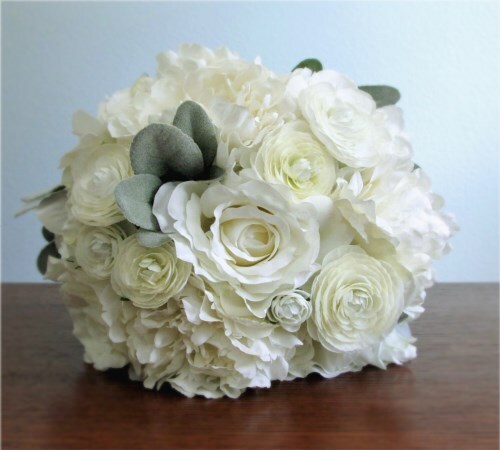 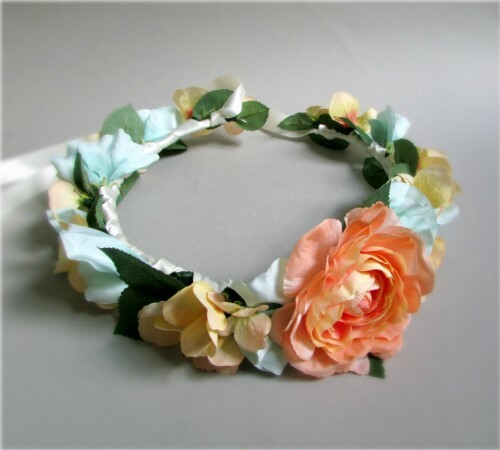 You choose the number of boutonnieres -- any amount from 3 to 12 boutonnieres. 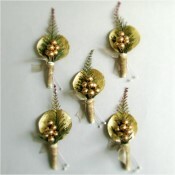 If you need more than 12 boutonnieres, please contact me and I will be happy to help.